When you’re looking for someone to build your home, you want more than just a person who knows how to organize subcontractors and work with permits. You want someone who understands building a home that will be your sanctuary, the place where you raise your kids and a beautiful place to entertain friends and family for years to come. It is more than just four walls and a roof, it is making dreams come true for people and their families. Ron Williams and his talented group of associates is the place to turn to make your dreams come true. Ron is a third generation builder. Ron’s grandfather and his father both built houses, in addition to farming. “When we were kids, my mom would say ‘get these boys out of the house,’ and that meant we would be out on the construction site with my dad,” Ron says. Ron learned a lot from those days with his dad. At 18, right out of high school, he was running crews for his dad. It wasn’t long before he was out on his own and he soon made his own mark in construction. “I knew I wanted to be one of the preeminent builders in the area, and I’m still working toward that goal,” Ron says. The secret to Ron’s success isn’t just the years of experience and knowledge passed on from generations. It also comes from his ability to really understand what each customer wants. “Each one of my customers is totally different. Everyone wants something unique with their project, and it takes talking to them and understanding their goals to make sure everyone is happy,” Ron says. Probably the most important element to creating beautiful homes is an inherent talent and love for the craft. “I hope I never lose the joy I get from my work,” Ron says. 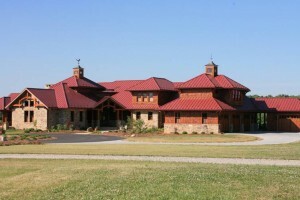 It’s easy to see he loves what he does when you walk through a finished home built by Ron Williams Building Company.